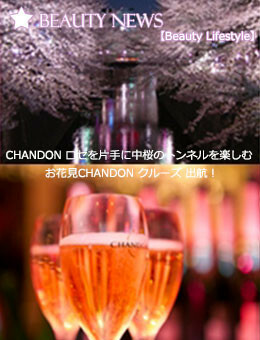 Hanami CHANDON cruise set sail !“CHANDON Rose ”10th anniversary : Happy Aging & Beautiful Anti Aging loving. Just five years ago today, the same kind of cold , was one day feel the coldest of the year . Today , the Great East Japan Earthquake of just five years of the date. Delicious spring of beginnings , enjoying in CHANDON Rose. A new style of “ Special Hanami ” with your fellow or loved ones.